So I stopped at the Minnetonka 2nd Swing this afternoon. I was hoping for an update on the clubs that I ordered and I’m kind of kicking around the idea of getting a 60 degree wedge. While looking at the wedges, I saw six or so of these bad boys in a couple of different lofts and bounces. 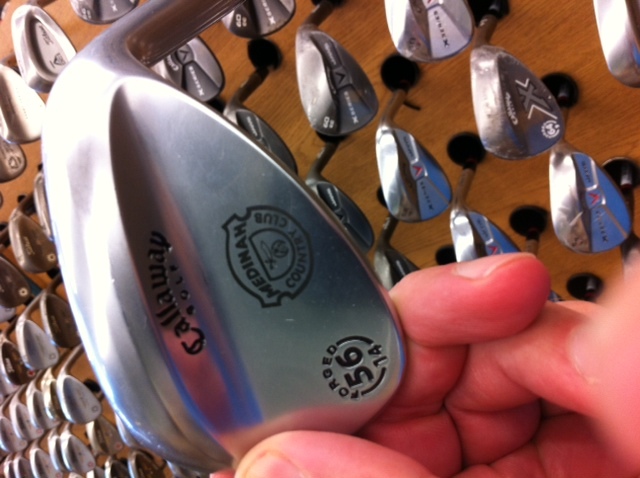 So If you have any interest in a Medinah Country Club wedge, you are in luck. And none of them appear to have been hit. They were quite minty.